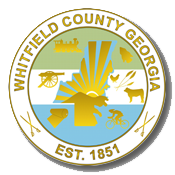 She has been a resident of Whitfield County since April 1986. 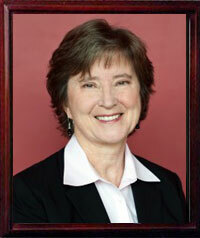 She graduated from the University of North Carolina at Chapel Hill in 1973 with a B.S. Degree in Industrial Relations. She received her MBA Degree from Northwestern University’s Kellogg Graduate School of Management in 1983 with concentrations in Finance and Accounting. Ms. Laughter is the Principal and Branch Manager of Laughter & Jones Financial Management, a financial planning and investment firm. Prior to starting her own business, she was a financial advisor with Wachovia Investments and a Vice-President and Branch Manager for Wachovia Bank. Lynn and her husband, Ben, have been married for forty-five years and have three grown children: Judson (Laura) live in Knoxville and have sons, Joseph and Benjamin; Mark (Karissa) have a daughter, Lydia, and live in Vienna, Austria; and, Mary Lynn (Miller) live in Dalton and have daughters, Kate and Lulu. Lynn and Ben are very active at their church, First Baptist Dalton. Lynn has also been very active in the community having served for twenty-one years on the local Habitat for Humanity Board including terms as Treasurer, Vice-President and President. She recently served as Chairman of the Greater Dalton Chamber of Commerce and has served on many other civic and non-profit organizations.